Microsoft recently launched the Xbox One X console for $500 that is the most powerful console in the world right now in terms of specs but Nvidia wouldn’t allow the PC Master Race to sulk as the company has revealed a massive graphics card, the Titan V priced at $3000. The pricing will definitely blow their minds of console gamers and average people who always believe that PC gaming is an expensive hobby unlike consoles because of components being priced at such exorbitant levels. However, for technology enthusiasts and those who wouldn’t settle for less, the Titan V is world’s most powerful card right now as it is future ready and can run all AAA titles at 4K resolution with minimum 60 fps while it can go all the way up to 120fps or more based on your setup. 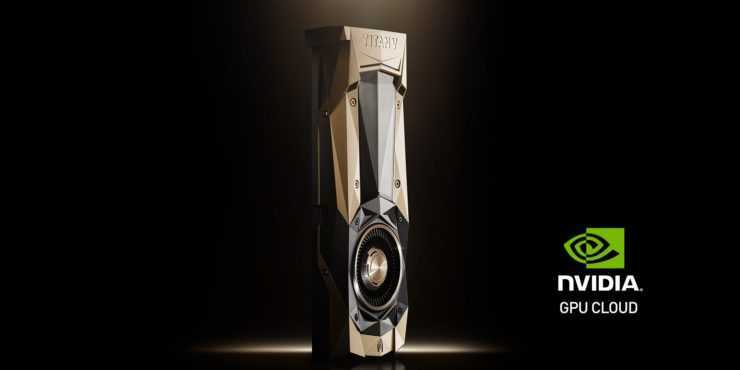 The Nvidia Titan V is not just a consumer card even though the company did use the word during the official launch. The card is capable of handling scientific simulation processing, AI and should be ready to handle VR on its highest possible capable. For comparison, the Xbox One X console has 6 teraflops of graphical capability while the newly announced card offers 110 teraflops of performance and it is easy to compare when these numbers are put together. Under the gold-plated body, the hardware is powered by 21.1 billion transistors, 5120 CUDA cores, 12GB of HBM2 memory and 640 tensor cores. Combined together, they are some of the most powerful hardware performance numbers that you could come across with up to 9x deep learning performance when compared to the Titan that currently exists in the market. The colourful combination of gold and black makes the graphics card look very stylish especially if it is going to be setup in a PC chassis with transparent glass design. Volta technology is yet to be introduced in gaming friendly cards which should be priced at $1000 or less in order to be budget friendly. The Titan V is available in stores immediately and will be limited to only two cards per customer which is to avoid people from using its processing capability to mine bitcoins. A lot of users already use Nvidia and AMD cards to mine bitcoins which has led to massive increase in the pricing of the hardware in the recent past, disappointing gamers.